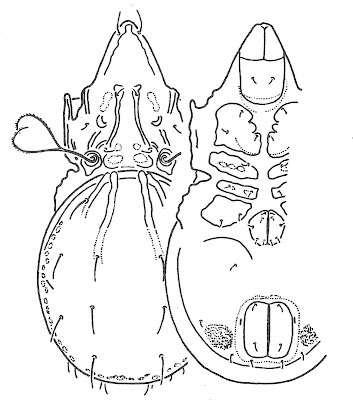 Dorsal (left) and ventral views of Machadobelba symmetrica, from Balogh & Balogh (1992 vol. 2). Machadobelba is a sub-pantropical genus of oribatid mites commonly characterised by a bifurcate sensillus. 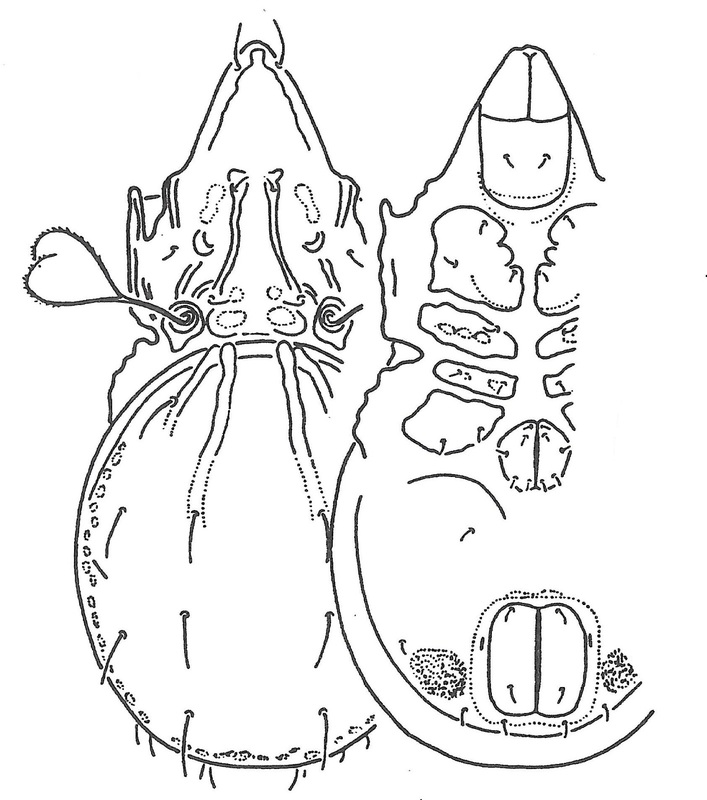 Characters (from Balogh & Balogh 1992): Prodorsum with costula; sensillus usually bifurcate. Notogaster with two pairs of crista. Ventral plates usually with one large area porosa; genital plates large, near each other; five pairs of genital setae.